A family-friendly Café, Bar, Deli located on the stunning Black Isle in the heart of the Scottish Highlands. IV10 is a vibrant hub of the community and a go to destination for visitors to the Black Isle. Taking inspiration from our travels, we have returned to Scotland with a vision to make quality food accessible to everyone in a relaxed, casual environment. We aim to offer responsibly sourced, uncomplicated food and drink, made with love and respect. 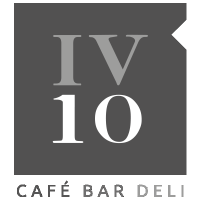 IV10 opens at 10am everyday serving coffee and tea along with an excellent selection of freshly made cakes. Lunch is served 12noon - 3pm and dinner 6pm - 9pm. A full bar and sharing boards are also available throughout the day and into the evening. We are looking for talented individuals to join the kitchen team and work with our head chef here at our busy cafe bar on the Black Isle. We're interested in hearing from experienced chefs as well as those at the beginning of their career. Enthusiasm, creativity and an ability to thrive in a fast-paced environment is essential. In addition to High Street parking there is also ample parking available just 250m from IV10. Take the first left off the High Street after IV10, go up Station Road and you will find free parking next to the Fire Station. Further parking is available 50m from IV10 in Cathedral Square.